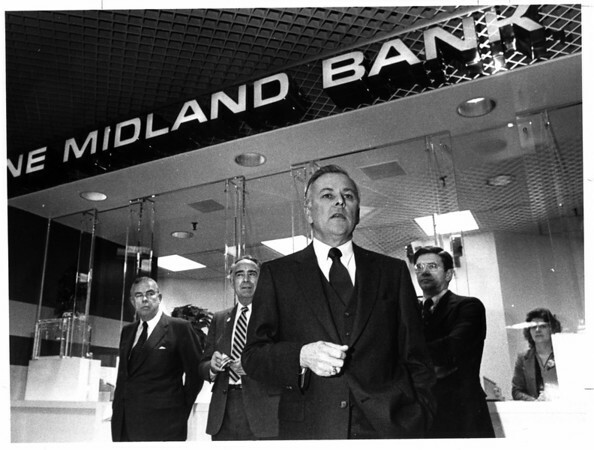 Opening of the New Marine Midland Bank in the Rainbow Center. From left to right - Paul Schoelkopf, Jr. Director of Marine, Mayor Michael C. O'Laughlin, Donald L. Ridge, Niagara District Vice President Marine, and Charles M. Mitschow, Regional Executive Vice President Marine. Photo - By Ron Schifferle.